Take a peek at what comes in the March 2017 Glossybox! This box was sent complimentary. There are affiliate links in this post. For more information see our Disclosure Statement. The March 2017 Glossybox is a beautiful welcome to Spring. All of the included products will take you far into the Summer months as well! 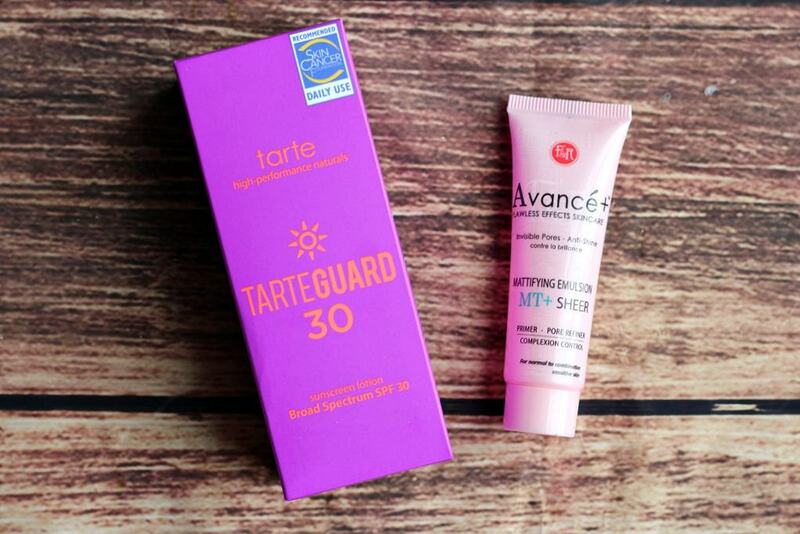 Tarte Cosmetics TarteGuard 30 Sunscreen Lotion Broad Spectrum SPF 30 (Full Size $32.00): let the sunscreen wearing months begin! A huge benefit of this sunscreen is that it does not contains any chemicals! It also moisturizes and brightens as it protects. It expires August 2017 so be sure to use it as soon as possible! Subscribers will receive this item or the Tarte BB Tinted 12-Hour Primer SPF 30 in Medium. Figs & Rouge Avance+ Mattifying Emulsion MT+ Sheer ($Deluxe Sample $15.00): this primer helps to minimize the appearance of pores and blemishes as well as mattify the skin. Not all subscribers will receive this items. See the Mary Kay TimeWise description for other potential products. 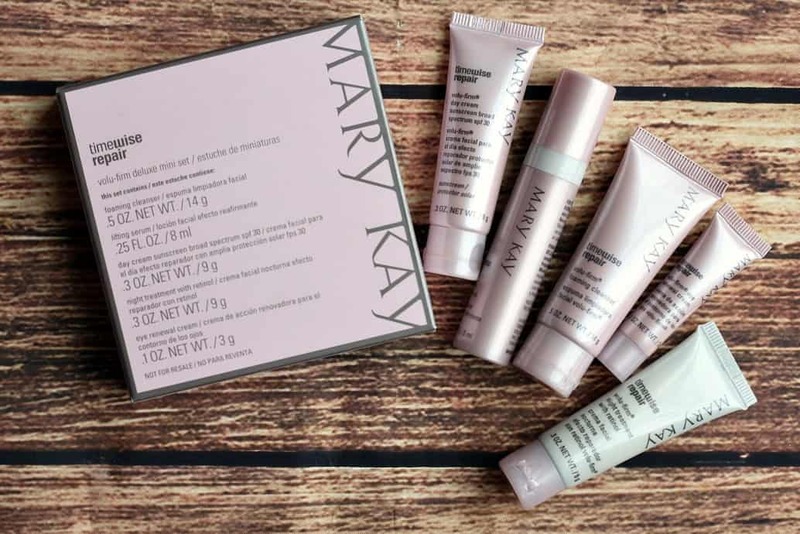 Mary Kay TimeWise Repair Volu-Firm Set (Deluxe Sample $47.00): this 5-piece set includes a day cream with sunscreen, a foaming cleanser, a lifting serum, a retinol night treatment, and an eye renewal cream. It’s a great set to try all of these products out before buying the full size versions. Not all subscribers will receive this item. Other items subscribers may receive are the Etre Belle Costmetics Golden Ski Roll-On Caviar Eye Gel, Figs & Rouge Mattifying Emulsion, and/or eb5 Anti-Aging Skincare AHA Cleansing Lotion and Toner. Catrice Cosmetics Absolute Rose Eyeshadow Palette 010 (Full Size $6.99): the colors in this palette are gorgeous! They are absolutely perfect for Spring and Summer! All subscribers will receive this item. Studio 10 Brow Lift Perfecting Liner (Full Size $20.00): this is a double sided brow pencil that had a brown eyebrow liner on one end, and a much lighter highlighter on the other. All subscribers will receive this item. BONUS: Incoco Nail Polish Applique Set (Full Size $8.00): these are made with real nail polish. You will need to use nail polish remover to take them off. The designs will vary. All subscribers will receive this item. 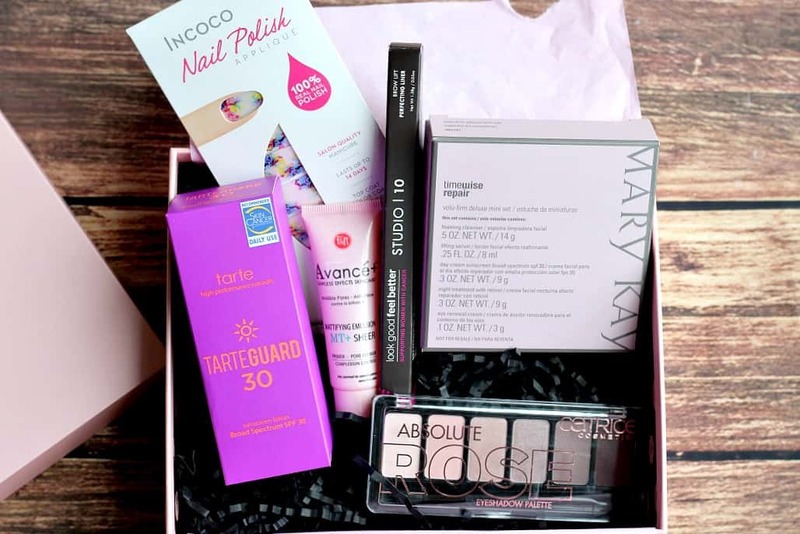 The March 2017 Glossybox has a total estimated value of $130.00! The April 2017 Glossybox is looking like it’s going to be pretty amazing! 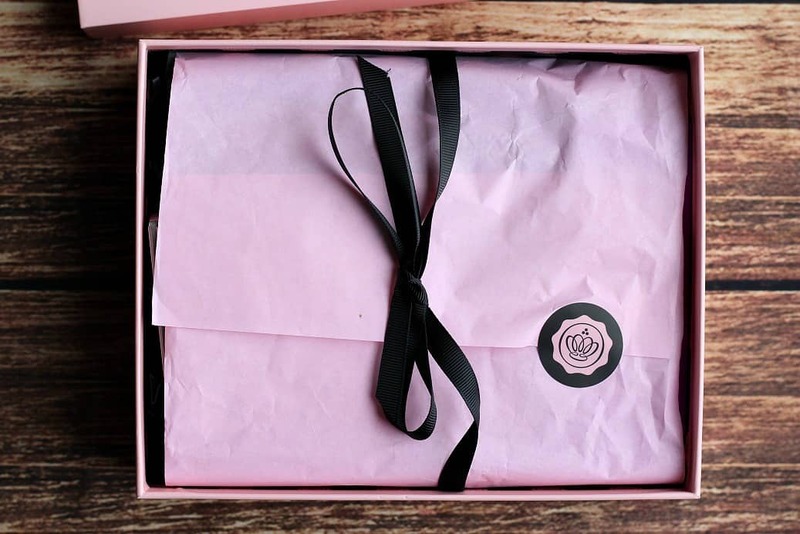 Glossybox is sending 7 products, 2 of which will be a complete surprise until your box arrives! If you’ve been on the fence about signing up, now might just be the perfect time! When you subscribe to Glossybox, you can choose a 1, 3, 6, or 12 month plan. Monthly boxes range from $17.50 to $21.00 depending on which plan you choose. If you subscribe in the month of March, use code EVESBRUSH for a free Eves by Eve Makeup Brush! 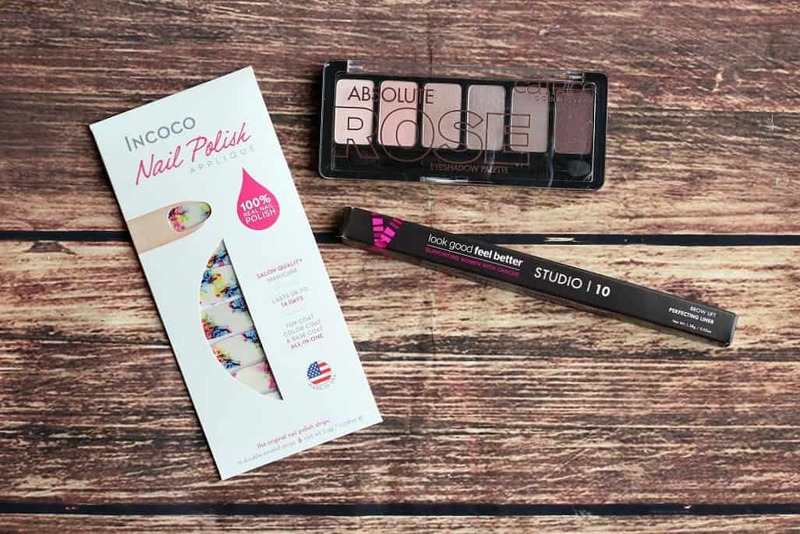 Head on over to the Glossybox website for all the details!